2014-09-15the nofication of the email error on Sep6 -10. First of all, thank you for visiting HI MOTORS占쏙옙s website. 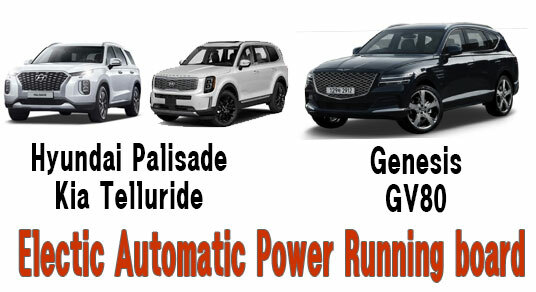 HI MOTORS has many years of automobile industry experience and makes every efforts to provide you as a customers with the best quality and best service throughout the global market. We are exporting all kinds of Korean car Accessories and Developing for Hyundai, Kia, GM Chevrolet , Ssangyong, Renault samsung and other oversea brand. We are welcoming to cooperate developing new product by OEM, ODM with our factory. 占쏙옙 Accent 2011~占쏙옙 Azera 2012~ (Grandeur HG)占쏙옙 Azera TG占쏙옙 Elantra 2014 (Avante MD)占쏙옙 Elantra 2010~2013(Avante MD)占쏙옙 Genesis占쏙옙 Genesis Coupe占쏙옙 Getz (Click)?占쏙옙 Grand Santa Fe (Maxcruz)占쏙옙 H1 (Grand Starex)占쏙옙 H100 (Porter2)占쏙옙 i30 2012~(Elantra GT)占쏙옙 i30 2008~2011占쏙옙 I40 2011~ (Saloon) 占쏙옙 SantaFe 2013 (SantaFe DM) 占쏙옙 SantaFe CM 占쏙옙 SantaFe 2010~占쏙옙 Sonata LF 2014~ 占쏙옙 Sonata YF 2010~ 占쏙옙 Sonata NF 2006~2009 占쏙옙 Tucson ix35占쏙옙 Tucson占쏙옙 Tuscani 占쏙옙 Veloster 占쏙옙 Veracruz ? GM Chevrolet ( Chevy Holden) accessories. 占쏙옙 Epica (Tosca) 占쏙옙 Aveo (Sonic) 占쏙옙 Alpheon (La Crosse) 占쏙옙 Captiva 2012占쏙옙 Captiva (Winstom) 占쏙옙 Cruze (Lacetti Premiere)占쏙옙 Malibu占쏙옙 Orlando 占쏙옙 Spark (Matiz Creative) 占쏙옙 Trax? 占쏙옙 Korando Sports 2013 占쏙옙 Actyon Sports 2007~2010占쏙옙 Actyon 2007~2011占쏙옙 Korando C 2011~占쏙옙 New Kyron占쏙옙 Rexton W 2013 占쏙옙 Rexton 2005~2012 ? 占쏙옙 Rodius(Korando Turismo) ? 占쏙옙 SM3 占쏙옙 New SM3占쏙옙 SM5占쏙옙 SM5 Impression 占쏙옙 New SM5 占쏙옙 SM7 占쏙옙 SM7 New Art 占쏙옙 QM3占쏙옙 QM5? LED Tail lights, LED Daytime Running Lights(DRY), Rear Spoiler, LED mirror cover, Running Boards(Side Step), Body kit, Interior Accessories, Exterior Accessories, Chrome Molding, Exterior Parts, Interior Parts, Genuine spare parts, Car Jewellery LED interior products, Front and Rear diffuser, Rear Glass wing spoiler, Exhaust system, Emblem, Wheel Cap, Car Accident Video Recorder. We always supply high quality products with reasonable price. If you have any request to us, please feel free to contact us. We are always stand here to support to you.